Both onion and garlic are blessings from Allah that grow on the earth. 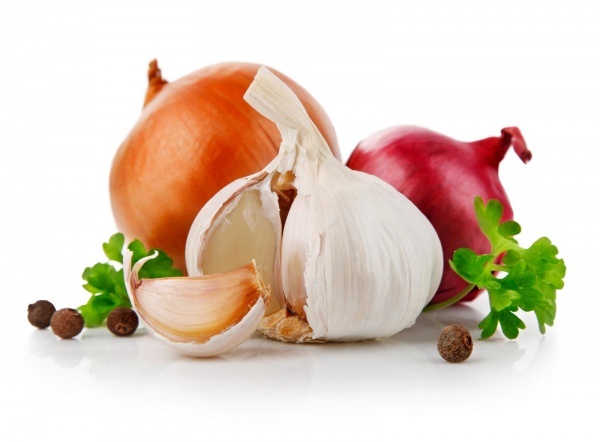 Garlic and onion have been valued for their healing properties. Their taste, smell and medicinal qualities are gifts of Allah to us and we should be grateful to Allah for them. However, all the mentioned above does not mean that there is no any adab (etiquette) of eating onion and garlic. Following the adab, you won’t need to think whether the angels enter your place or not. The angels love when the adab and all the required conditions are fulfilled. During one of the Friday sermons, Umar (may Allah be pleased with him) said: “O you people! You eat garlic and onion and I do not find the odour of these two to be nice. When the Prophet (peace be upon him) was alive, we saw that people, who came to the mosque after having had onion and garlic, were taken out of the mosque by their hands. If some of you want to eat onion or garlic, you should boil or fry them first so that their smell dies out” (Ibn Majah, Atima, 59/3363). “Once I cooked a meal for the Prophet (peace be upon him). There was onion, garlic and leek among the ingredients. The Prophet refused to it and said: “I would not like to cause inconvenience to my friend Jibreel” (Ibn Majah, Atima 59/3364). When eating onion, garlic, leek or any other edible greens that have a sharp smell, it is advisable to prevent the bad smell. To eliminate it, you can brush your teeth with toothpaste, chew cloves or any other kind of spices that can take a strong smell away.